For Dentists and Dental Practices. In a highly competitive industry like the dental marketing, Pay-Per-Click advertising (PPC), otherwise known as paid search is an extremely effective tactic for promoting your dental practice in local search results. PPC for dentists is cost effective, easily measurable, and can start generating leads within minutes after launching ads. At Big Buzz, you can rest assured that you won’t be getting a “set it and forget it” approach to advertising. We consistently test, analyze and implement adjustments to your advertising campaigns to ensure that virtually no budget is wasted. We sync all ads with our in-house analytics platform so you can monitor results in real-time. Instagram, Facebook, LinkedIn and more! Ready to Get Started with PPC? Schedule a 30-minute consultation with an advertising expert today! Want to take over the #1 spot in search results, instantly? 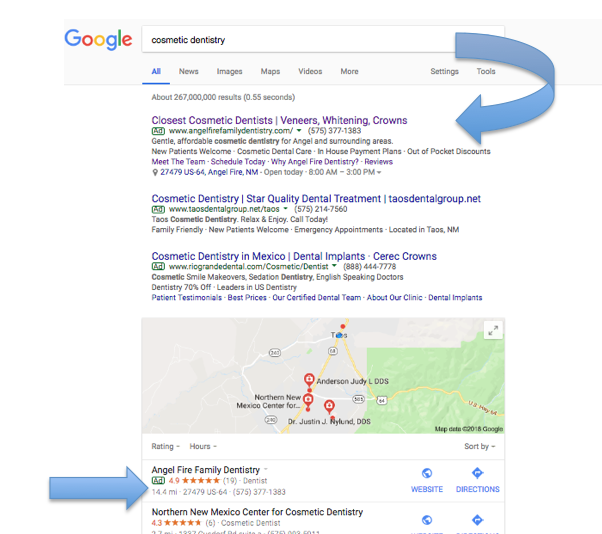 Paid search advertising is a cost-effective way to position your dental practice at the top of search results for your services for select locations. At Big Buzz, we consistently A/B test ads, push conversions with ad extensions and monitor keywords and targeting to ensure you get the most return on your ad spend. Big Buzz offers a variety of online advertising tactics, including Google AdWords, which is a tactic that nearly every dentist should be using to promote at least two to three of the practice’s top services. Google AdWords is effective in reaching potential patients who are seeking out specific dental services and are ready to become your next patient. Big Buzz has conducted keyword research for hundreds of dentists and knows exactly how to set up online advertising campaigns so that they are driving the right kinds of patients to your website. 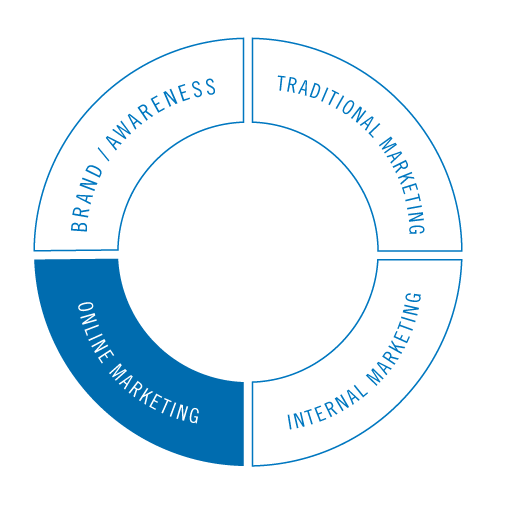 We will create targeted campaigns focused on attracting your ideal new patients. We will conduct extensive keyword research to identify the highest click-through rate for the lowest dollar amount, and we will then develop custom landing pages specific to each ad group so that whomever clicks on your ad knows exactly what they should do next. Throughout your campaign, we will develop and test several ads, then monitor and select the ads that work best. We will stay in touch with you monthly to review your online marketing reporting. Local searches lead 50% of mobile visitors to visit stores within one day, with 18% leading of mobile users converting to a sale. “50% of all searches will be voice searches by 2020” according to comscore. With the rise of smart home devices and the increasing capabilities of voice assist technology, voice searches are and will continue to increase. 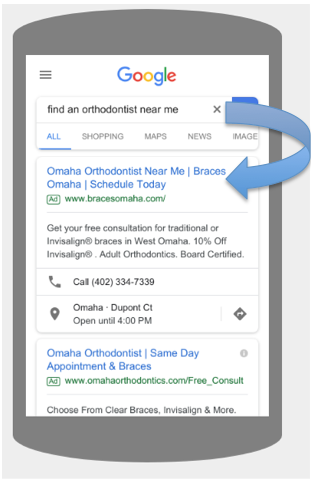 At Big Buzz, we optimize your ads for search patterns we commonly see for voice searches around dental services. Combined with local targeting and mobile optimizations, voice search is a powerful conversion tool to get prospects actively searching for your services, calling your office to schedule an appointment the moment they see your ad. Get a Google AdWords Assessment and Estimate Today! Just fill out the quick and easy form below to receive your Google AdWords Assessment and estimate.